Patients often ask me what makes a smile beautiful. Because this question comes up so often, I decided to write a blog about the esthetic components of a well-detailed smile. Today’s topic: Smile Arc. 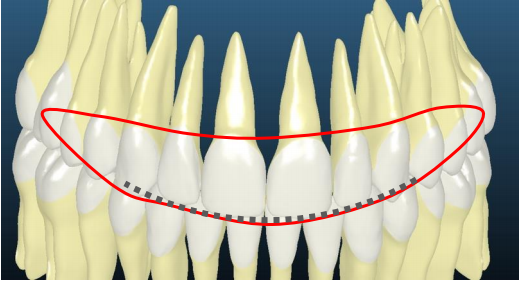 Smile Arc describes how the biting edges of the upper teeth ‘flow’ along the curvature of the lower lip line. When this arc is present, smiles are called ‘consonant’ and judged more esthetic. Justine had braces with us for 11 months. Her final photos (figs. 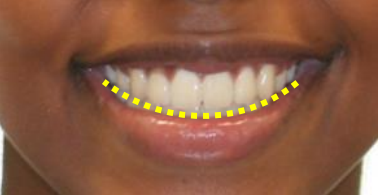 1,2 below) show beautifully straight teeth framed within her smiling lips: a consonant smile arc. 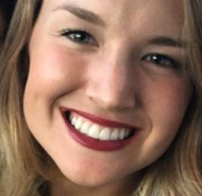 I placed Justine’s braces so that her top teeth would flow with her lower lip curve. You can see how the lateral tooth (fig. 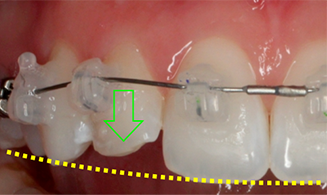 3, green arrow) will be ‘extruded’ downward by the flexible wire until the smile arc (figs. 2,4) is complete. * Your smile is one of your most important physical traits. Do it yourself aligners from glitzy mall storefronts or inexperienced practitioners can worsen or destroy your smile. Smart consumers demand an orthodontist. Technology called Insignia® helps me with advanced smile arc treatment planning. Insignia® software creates a computerized setup of the patient’s teeth (fig. 6). 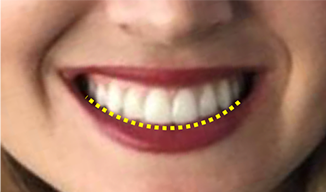 I can then move and tweak these virtual teeth and braces for the best possible theoretical smile (fig. 7). I use Insignia’s® precise 3D printed jigs to place the actual clear braces onto the actual teeth. Because of this precision, treatment is more efficient, more comfortable and more predictable for my patients. These details and nuances to the treatment planning process truly matter. Braces or clear aligners in the hands of an experienced orthodontist can improve your smile arc. If you or a loved one needs work on your smile arc, find a credentialed orthodontic specialist * today. Future posts in this series will focus on more aspects of the well-detailed smile. 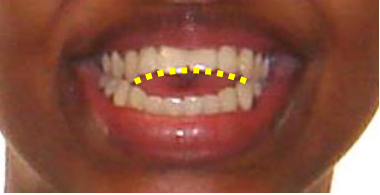 Kaya B, Uyar R. Influence on smile attractiveness of the smile arc in conjunction with gingival display. American Journal of Orthodontics and Dentofacial Orthopedics 2013; 144:541-7. Sarver DM. 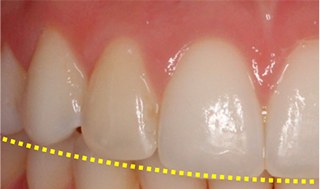 The importance of incisor positioning in the esthetic smile: the smile arc. Am J Orthod Dentofacial Orthop. 2001 Aug 120(2):98-111.